1. A Great Apostasy necessitating a Restoration of the doctrines and practices of New Testament Christianity. 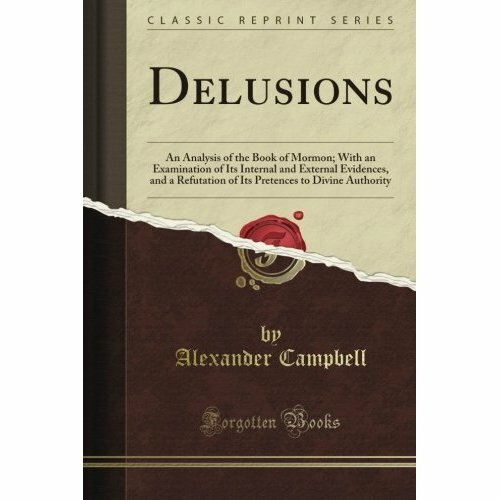 Campbell referred to this as a restoration of the “Ancient Order of Things.” Early Mormon Leader Sidney Rigdon referred to it as a “restoration of all things.” References in The Book of Mormon include the following: 1 Ne 12:11; 13:26; 2 Ne 26:9-10, 20; Hel 13:5. 2. Restoration and Gathering of the Jews. — 1 Ne 15:19-20; 2 Ne 29:4; 3 Ne 29:1. 3. Imminent millennial reign of Christ. This is a belief that religious experience came from hearing the divine word alone. 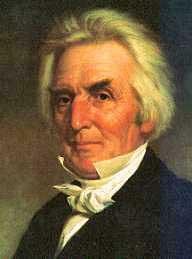 Alexander Campbell referred to this concept in his remarks on the Bible Dec. 1, 1828. 5. Sacrament prayer and partaking of the sacrament bread and wine as a memorial rite in frequent gatherings. — Moroni 4:3, 5:2, 6:6. 6. Rejection of infant baptism and original sin. — Moroni 8:1-12, 14, 20, 22. This doctrine is at odds with Methodism. This is relevant because of Smith’s documented attraction to Methodism, even during the translation process. 7. Adult immersion for the remission of sins as the central ordinance of the Gospel. This elevation of the importance of baptism happened at a time when practically no other group of Christians made baptism that important or so easy to obtain. Calvinist churches demanded proof of a spiritual conversion experience before acceptance into a congregation. Campbellites merely asked for a statement of belief, and baptism was possible at a moment’s notice. In Mormonism, acceptance of The Book of Mormon qualified a new convert for immediate baptism, quick confirmation, and speedy ordination of male converts. This was a useful strategy for rapidly acquiring new converts among those who had been turned down for membership in other faiths. 8. Missionaries of the church should provide their own support. — Mos. 18:24-26; Mos. 27:4-5; Alma 1:3, 26; Alma 30:31-32; 2 Nephi 26:31 — and the clergy as well — Alma 1:3. Alma 35:3, 1 Nephi 22:23. 9. Elders set apart by the laying on of hands. 10. Speaking as if authorized by Jesus Christ. — Words of Mormon 1:17; Mos. 13:6; Mos. 18:13; Alma 17:3; 3 Nephi 5:13; 3 Nephi 11:25; Moro. 7:2; Moro. 8:16. 11. Reference to “the Holy Spirit” as a kind of shared divine nature. 1) It is evidence that The Book of Mormon echoes 19th Century Restorationist theology and religious controversies thus discrediting it’s claim to be an ancient Jewish text. 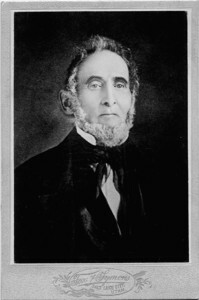 2) Sidney Rigdon was a high ranking Campbellite Minister before he and his congregation (which included Parley Pratt who was an elder in Rigdon’s church) wholesale joined the Mormon Church in 1830. The Spaulding-Ridgon Theory asserts that the primary author of the Book of Mormon was Sidney Rigdon as the result of a secret conspiracy with Oliver Cowdrey and Joseph Smith which began sometime in 1827. Advocates of this theory point to this internal evidence as a kind of “smoking gun” for Rigdon’s involvement.